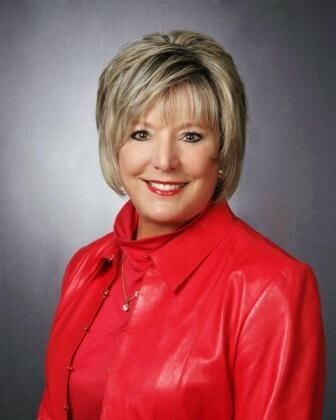 Toni began her real estate career in Lakewood in the early 1980s. As a resident of the young community with experience in interior decorating, Toni thought selling neighborhood houses would be a fun, part time job. Immediately, her passion for matching clients with their dream homes took over and the rest is history. Despite her business expanding to cover the entire eastern Jackson County area, Toni is still a Lakewood girl. She has built her third personal home in the community and has a long list of homes she has sold, some several times. Lakewood, located within the city limits of Lee's Summit, Missouri, is served by both the Blue Springs and Lees Summit school districts. A city within a city, Lakewood has its own restaurant, security patrol, and club houses. Situated on 300 acres of lakes other features include 4 swimming pools, 7 tennis courts, sand beach, swim docks, monthly newsletter and private golf course. With a population of 10,000, Lakewood mainly consists of single family homes. However, there are 200 multi-family maintenance provided town homes located thru out. Home prices range from $110,000 to $3,000,000. With easy highway access, an abundance of amenities and variety of home choices give Lakewood a great appeal to buyers. Lake Winnebago is southeast of downtown Kansas City in Cass County. 1050. The lake provides boating, fishing, skiing and tubing as well as several organized events throughout the summer. The Yacht Club restaurant is also convenient for residents and can be reserved for private functions. Lake Winnebago is its own municipality. Mayor, law enforcement, and city government are all within the city of Lake Winnebago. Recently, the residents approved a major expansion of the lake which will make available over 200 lots for new construction. Homes range in price from $240,000 to $3,000,000. Typically rentals are not available in this community. Raintree Lake subdivision is located in the southern most part of the metropolitan area. Located right on the Cass County/Jackson County line, both Raymore-Peculiar and Lee's Summit school districts service this community. With a 25 minute drive to downtown Kansas City and 50 minute drive to the airport, Raintree has a population of 1200 families. Since this community is located in Lee's Summit it is one of the fastest growing areas for new business. Within 5 minutes you have a grocery store, half dozen restaurants, many new retail shops, and a variety of churches.. The lake itself is great for skiing, fishing, and boating. The clubhouse hosts resident activities and private parties. Walking trails, bike paths, swimming pool with waterslide are the other amenities residents can enjoy. The city of Lake Lotawana, MIssouri, is in Jackson County about 20 miles east of Kansas City, MO,just east of Lee's Summit off of Colber Road and 7 highway. , . As you probably have already figured out, life in the community of Lake Lotawana revolves around the largest lake in the Lee's Summit area, encompassing 600 plus acres of water. Lake Lotawana is a city on its own with its own city hall and police department and within the Lee's Summit School District boundaries. House prices range from the $100,000 to the multi million dollars. Lake Tapawingo is a city in Jackson County, Missouri, with a population of 710 in the 2010 census. The city is just 20 minutes away from Kansas City's Downtown, and a neighbor to Blue Springs, MO. Resident children attend the Blue Springs School District. This recreational lake is great for families and friends. Plenty of fishing for catfish, bass, walleye, bluegill and swimming for those who like to relax. 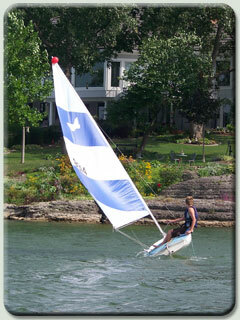 Other lake activities include sailing, wakeboarding, and skiing in the 80 plus acre lake. This Lee's Summit neighborhood is a treat for water lovers and outdoor enthusiasts. With plenty of native wildlife and natural terrain, homes in Woodland Shores have unique architecture and prices begin in the $350,000's. This beautiful luxury new home neighborhood is nestled amongst thousands of acres of parks and lakes in eastern Lee's Summit off of Colbern Road and Blackwell. All of this at a reasonable home sale price.